The first generation of the Toyota Dyna was launched in 1970 and since then the Japanese LCV was continuously improved and has received both style and technical upgrades. Toyota gave to the latest generation Dyna a breath of fresh air by sharpening up its boxy styling, throwing in a host of new features and, most tantalizingly, dropping a bigger, more powerful engine into the mix. Thanks to the new 3.0 D-4D diesel engine the Dyna was put back in the race against its main competitors, which are the Renault Maxity and Isuzu NKR. The Toyota Dyna has the typical LCV look with a cab on engine configuration. Even if the exterior design can’t be considered an eye catcher, the Japanese truck looks better than other vehicles in the segment, thanks to its rounded corners and the sharp horizontal headlights. The build quality is pretty good and the super-strong U-shaped frame chassis is built for serious punishment and complete dependability. It’s also coated for a long, rust-free operating life. The cabin isn’t too spacious but the beige dash and the huge windshield offer an airy feel. We also like the grab handles and the wide door opening as they facilitate the access into the cabin. The overall ergonomy is good, but the steering wheel is a bit too big for our tastes and is uncomfortable to hold. Sadly, you won’t find too many storage places and the driver’s seat comes without an armrest. Close inspection reveals many hard plastics surfacing, which combined with the poor design give the cabin a rudimentary feel. On the paper, the Toyota Dyna single cab can seat up to three people, but in the real life only two can travel in satisfactory comfort. Talking about comfort, we’re still not 100-percent convinced by the hard seats, but at least they are adjustable and luckily you’ll also get an adjustable steering wheel which will make your life easier. Also in the name of comfort, the Dyna was equipped with common sense features which include electric front windows, remote control door locking, driver air bag, radio CD and engine imobiliser. For greater carrying capacity the medium wheelbase and long wheelbase models have double rear wheels. All models are fitted with the powerful 3.0 litre D-4D diesel Euro IV engine for maximum capability. The common rail engine has a maximum output of 136 hp @ 3600 rpm and 300 Nm of torque available between 1200-2400 rpm. 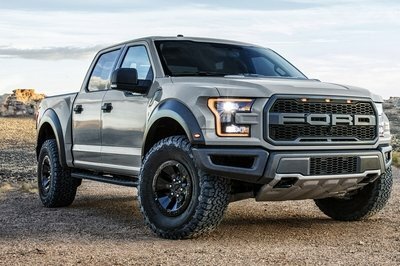 The power is sent to the rear wheels by means of a 5 speed manual gearbox which offers a jerky response and should’ve came with an extra 6th gear to drop the rpm at high speeds, for a better efficiency. We also have to mention that the Dyna is quite noisy, but you won’t have any problems in pulling big loads with this truck as it has plenty of low-down pulling power and the payload capacities range from 1,000kg to 1,525kg depending on the chassis. 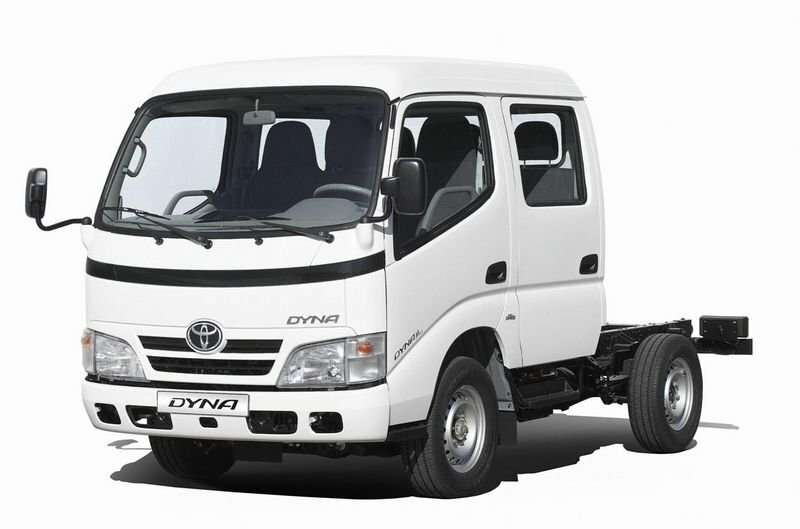 The Toyota Dyna is equipped with independent double wishbone with torsion bar at the front and full floating, rigid axle, leaf springs at the rear. 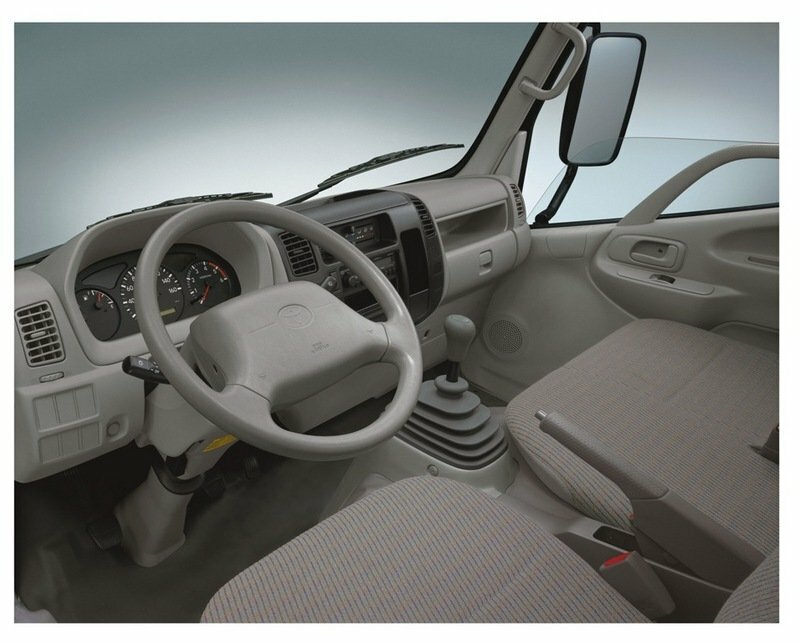 The driver sits directly on the front axle, so the truck has good steering abilities and a tight turning radius of only 4.5 meters. Thanks to these features you won’t have any problems in dealing with the narrow city streets or difficult traffic conditions. On the other hand, the ride is harsh and the handling isn’t as good as the one from the Renault Maxity. The Toyota Dyna is equipped with standard ABS and power steering, but although is quite sharp on the straight line it isn’t great around corners and you’ll have to deal with a serious under steering effect that takes some getting used to. The Toyota Dyna is among the cheapest LCVs in the 3.5 tones segment. The Dyna’s cabin may not be the most spacious or practical in its class, but the build quality is better than the Isuzu NKR and we also like the beige interiors and the overall ergonomy. Unlike most o its rivals, the Japanese truck it’s still not available with an automatic gearbox and it’s also not fitted with a differential to help it deal with slippery conditions. Lastly, the Toyota Dyna is built like an obedient solid work horse and even if isn’t impressive compared with its rivals, it offers good value for the money.